Egypt will host eSwatini, formerly known as Swaziland, in their upcoming African Nations Cup qualifier at Cairo's Al-Salam Stadium instead of Alexandria's Borg El-Arab venue, which has hosted their games in the past few years, the Egyptian Football Association said on Tuesday. The Pharaohs will face eSwatini in a double header next month, with the first match taking place in Cairo on 12 October. 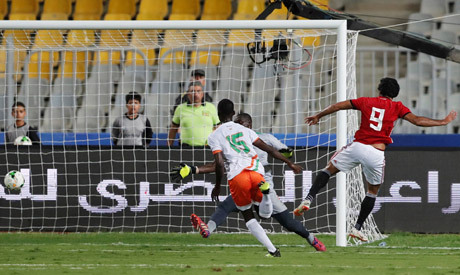 Local reports quoted EFA officials as saying the decision to hold the game in Cairo was taken to ensure bigger fan presence after only 20,000 supporters attended Egypt's 6-0 hammering of Niger at the 86,000-seat Borg El-Arab Stadium, 25 km west of Alexandria, last Saturday. Inaugurated in 2009, El-Salam Stadium is located north of Cairo with a capacity of 30,000 seats. Egypt lie second in Group J of the Nations Cup qualifiers with three points, three behind leaders Tunisia. The top two will reach next year's finals in Cameroon.